The commercial world is growing by leaps and bounds, and companies are no longer operating out of just one place. Multiple bases of one firm are resulting in people travelling to and fro for business. This trend can be especially seen in cities like Kolkata, Chennai, Delhi, Bangalore, Gurgaon, Mumbai and Jaipur that are some of the most important commercial centres in India. One of the problems all of us business travellers face in a city, other than the one we live in, is finding a convenient mode of transport. Hireable taxis can be expensive, and auto-rickshaw drivers almost never go by the prevailing rates. Thankfully, if you are heading to any of the above-mentioned places, you have the Metro. 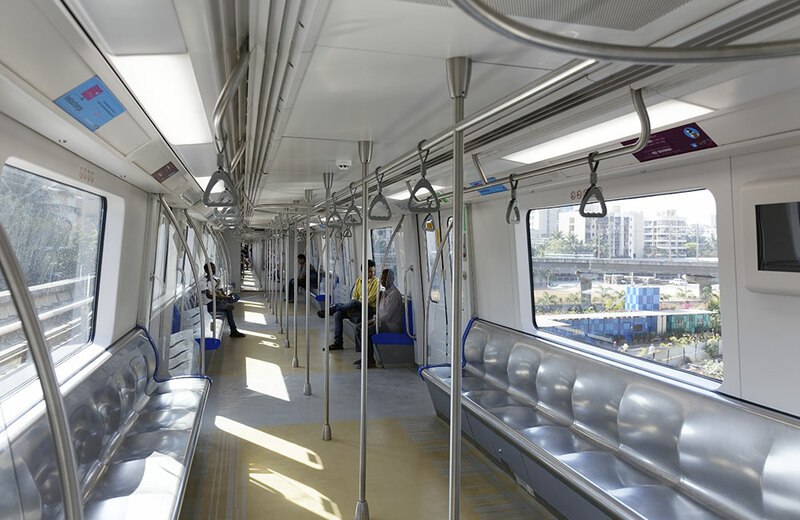 Read ahead for a brief on the metro connectivity in these cities: Kolkata The capital of West Bengal, Kolkata ushered in the era of metro train in India in 1984. Currently, one line, around 27 km in length, is operational, running in the north-south direction. Its northern terminus is Kavi Subhash station, whereas its southern end point is Noapara station. Some of the important stations on this corridor are Netaji Bhavan, Rabindra Sadan, Jatin Das Park and Maidan. For easy connectivity, I would suggest making a booking at hotels in Kolkata near metro stations, such as FabHotel Ratnakar Residency and FabHotel Arya Regency S.P.Mukherjee Road. 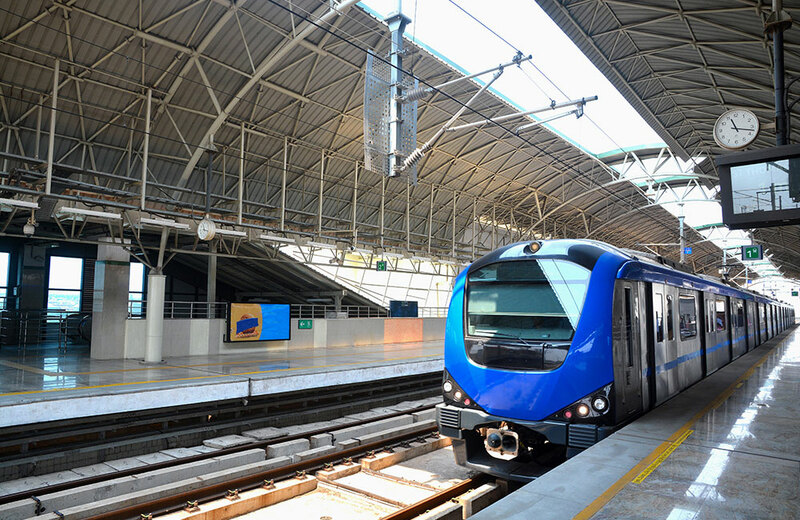 Chennai Opened for public in 2015, Chennai Metro consists of two operational lines, the Blue Line (Washermanpet-Chennai International Airport) and Green Line (Chennai Central-St Thomas Mount). Since these connect the two major transit hubs of the city, I am assured of hassle-free commute. The two lines intersect at Alandur station. There are loads of hotels near metro stations in Chennai that range from luxury to economical, so budget is again not a problem here. 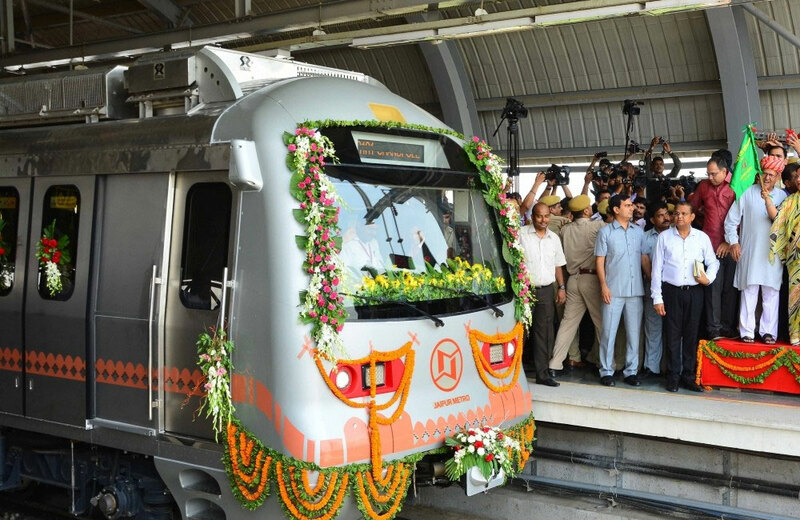 Delhi With 164 stations, 218 km route length and daily ridership of about 2.8 million, Delhi Metro is the largest, longest and busiest rapid transit system, respectively, in the country. 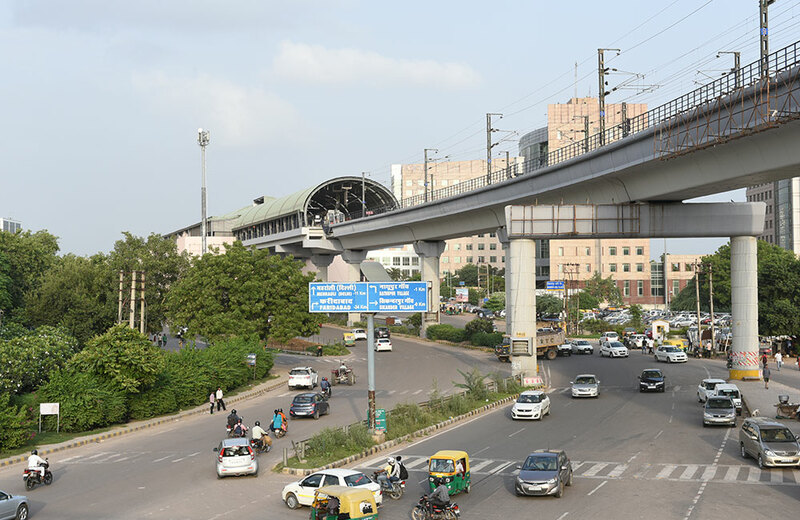 Since the opening of its first 8.3-km stretch in 2002, it has expanded to 6 lines: Red Line (Dilshad Garden-Rithala), Blue Line (Dwarka Sector 21-Noida City Centre/Vaishali), Green Line (Kirti Nagar- Ashok Park Main/Inderkok- Mundka), Yellow Line (Samaypur Badli-HUDA City Centre), Violet Line (Escorts Mujesar-Kashmere Gate) and Airport Express Line (New Delhi Railway Station-Dwarka Sector 21 via Indira Gandhi International Airport Terminal 3). Two more lines, Pink Line (Mukundpur Depot-Shiv Vihar) and Magenta Line (Botanical Garden-Janakpuri West) along with the extension of Blue Line till Noida Electronic City and Noida-Greater Noida Metro (Noida Sector 52 to Greater Noida Depot) are slated to open from December 2017 onwards. You have a large number of choices in terms of hotels in Delhi near metro stations that you can choose as per the route you have to commute on. Mumbai The roads and local trains of Mumbai are notorious for their congestion, which has started easing a lot since the inauguration of Mumbai Metro. It presently has one operational line (Line 1), which passes through the industrially significant central part of Mumbai. This 11.4-km corridor connects Versova in eastern Mumbai to Ghatkopar in western Mumbai. One of the important stations on this corridor is Sakinaka as the eponymous locality is a commercial hub of Mumbai. If you are looking for hotels near Sakinaka Metro Station, then FabHotel Amour Andheri East, just opposite to it, is a good option. Gurgaon This is another city, where commuting by road can be hassle prone. Hence, you are better off taking the Yellow Line of Delhi Metro (if coming from Delhi), which connects with Rapid Metro Gurgaon at Sikandarpur station. 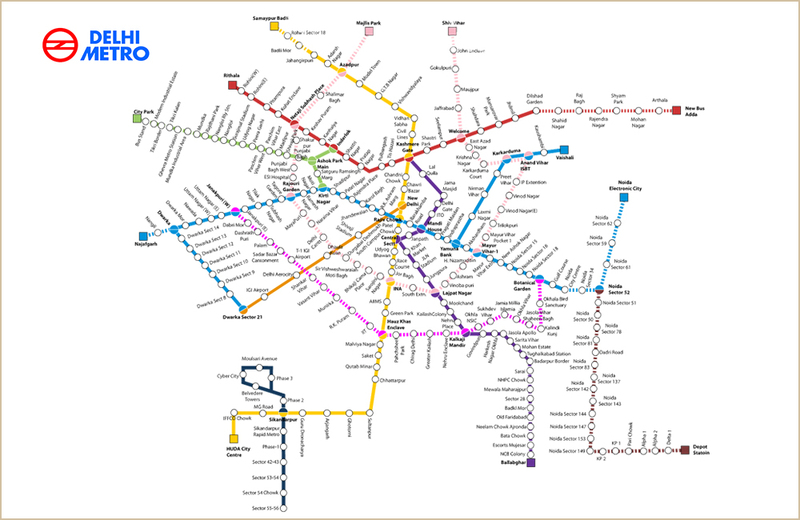 Rapid Metro has a single line, which loops around DLF Cyber City, one of the largest commercial centres in the NCR. Being a prominent place, there are hordes of hotels here that are within walking distance from the metro. 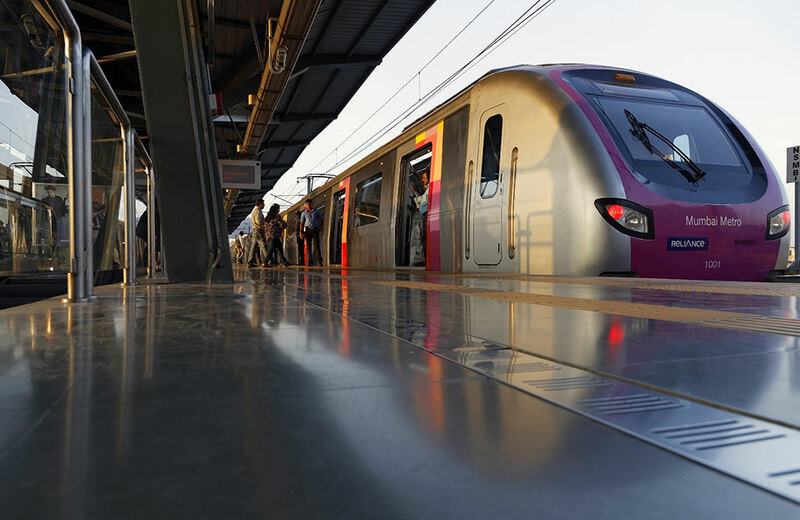 Sushant Lok, DLF Phase 2, Cyber City and DLF Phase 3 are among the places, connected by either one or both of these metro systems. Jaipur We have been mostly talking about business hubs of India, and Jaipur too is one of these, but nothing can take from the fact that it is one of the most popular holiday destinations in the country. Because of these two aspects, the inflow of travellers to the Pink City has become extremely high. Just like in every other large city, public transport here too was in shambles, resulting in the need for a better system. This dream was realised when Jaipur Metro started function in 2015; it currently has one line (Pink Line). It runs in the southwest-northeast direction, linking Mansarovar with Chandipole. You can stay at hotels in Mansarovar like FabHotel Padmavati Palace as it is just 800 metres from Mansarovar Metro Station. Bangalore Bangalore is a bit infamous for its traffic; I am not trying to discourage you; I’m merely stating a fact. Fortunately for the locals and travellers, Bangalore Metro, locally called Namma Metro, has started solving this problem. 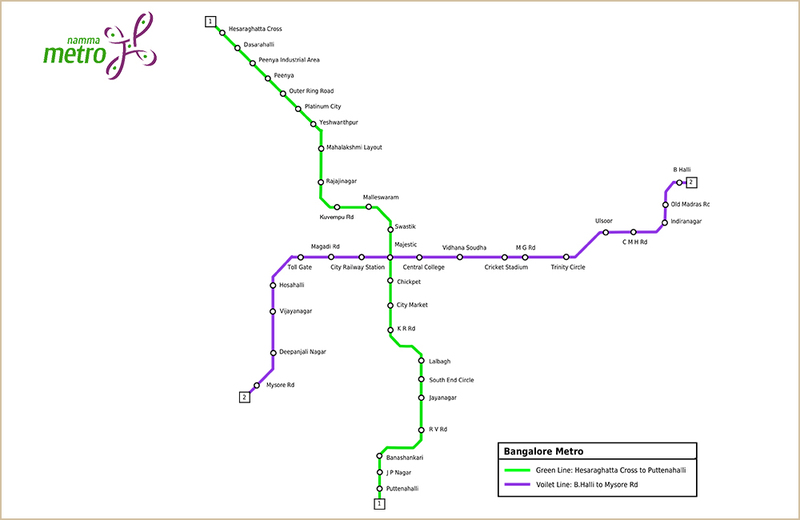 Purple Line (Baiyappanahalli-Mysore Road) and Green Line (Nagasandra-Yelachenahalli) are the two currently functioning corridors. For the best connectivity, I would advise staying at hotels near Majestic Metro Station as it serves as the interchange between the two lines. FabHotel Arafa Inn Gandhinagar is a good option in this regard as it is less than a km from Majestic Metro Station, officially named Nadaprabhu Hiriya Kempegowda Station. So, the next time you head to any of these places for business or holiday, ditch taxis and rental cars, and take the metro for a smooth and hassle-free commute. I am sure you will. How is More Business Travel the Key to Professional Success?